Nearsightedness is a common visual impairment. In fact, nearly 30 percent of the U.S. population suffers from some degree of myopia, the medical term for nearsightedness. Patients who suffer from nearsightedness can focus clearly on objects that are up close, but have trouble focusing on objects in the distance. While nearsightedness can be improved through the use of glasses or contact lenses, many patients today are looking for a treatment solution that is more convenient and permanent. Led by Dr. Gregory A. Stainer, Southwest Eye Care and Laser offers laser eye surgery to improve patient vision and greatly reduce dependence on corrective lenses. One of the most popular laser procedures available to our patients in Bakersfield, LASIK can correct nearsightedness safely and effectively. To understand how LASIK corrects the condition of nearsightedness, we must first explain what myopia is. While there are many possible causes of nearsightedness, including genetics, overstrain or stress of the eye, and other environmental and health issues, the imperfection that causes myopia is a cornea that has too much curvature. This over curvature of the cornea prevents the light that enters the eye from focusing properly and results in distant images that appear unfocused and blurry. 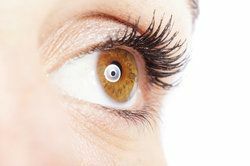 LASIK surgery safely and effectively improves patient vision by making necessary alterations to the shape of the cornea. LASIK is a completely customized procedure that is based on the specific degree of vision impairment and the type of vision impairment that is experienced by each patient. Although the entire procedure is extremely precise based on specific eye measurements and scans of the cornea, the basic goal of a LASIK procedure to correct nearsightedness is to create a flatter cornea that will properly focus the light that enters the eye. LASIK surgery is a fast procedure that takes just a few minutes per eye. Once the eyes have been numbed, a corneal flap is created that allows Dr. Stainer access to the surface of the cornea. An excimer laser is then used to make necessary alterations to the surface of the cornea in order to create an ideally shaped cornea that can properly focus the light that enters the eye. Dr. Stainer uses lasers of the highest technology in order to obtain optimal vision results in all conditions and avoid side effects such as glares and halos. With alterations complete, the corneal flap will be lowered and surgery will be complete. For patients who have spent years relying on glasses or contact lenses for vision improvement, the benefits of LASIK are multiple. LASIK surgery allows for clearer vision and reduces or eliminates the inconveniences and costly upkeep of corrective eyewear. In all, LASIK offers the most effective and long-lasting vision correction. LASIK surgery offers patients safe and effective treatment for not just nearsightedness, but also farsightedness and astigmatism. If you are tired of the daily hassles of glasses or contact lenses and would like to know if LASIK can give you the clear vision you desire, schedule an appointment with Dr. Gregory A. Stainer at your earliest convenience. We look forward to hearing from you!